About Oktoberfest Fort Worth: Oktoberfest Fort Worth will take place September 27 – 29 at Panther Island Pavilion in Fort Worth. Festival patrons will enjoy authentic German food, music, dancing, games, rides, biergartens, dachshund races & shopping as well as Spaten and other fall and Oktoberfest craft beers. Fort Wurst is a new corporate night kicking off the festival on September 26. Both events are produced by the Trinity River Vision Authority (TRVA) responsible for the implementation of a public infrastructure project which fosters the development of an urban waterfront neighborhood in Fort Worth called Panther Island. TRVA aims to attract business and entertainment to the district and is in charge of programming public spaces including Panther Island Pavilion. About Fort Worth Sister Cities International: Fort Worth Sister Cities International, a 501c3 nonprofit, is the only organization dedicated solely to promoting Fort Worth globally and enriching our community through international education, exchange and commerce. We provide a world of opportunities for our city leaders, citizens, educators, students and businesses alike. Founded in 1985, Fort Worth has eight sister city relationships, and intends to form our ninth in 2019. The relationship with Trier, Germany was formed in 1987 and celebrated our 40th anniversary last year. About Kraft Bräu: Kraft Bräu was founded in 1998 as the first microbrewery in Trier, five years after the closure of the last brewery in town. Patrick Weirich, the first brewer, started with the three Kraft Bräu classics: lager, dark and wheat beer, focusing on pure handmade craft brewing. In 2010 the Kraft Bräu team started to brew beside the classics seasonal specials like an IPA, different pale ales and bocks. It was CEO Klaus Tonkaboni and Sebastian Nguyen, head brewer and licensed beer sommelier, who started the new and exciting era. In October 2014, Kraft Bräu organized Trier’s first craft beer festival which was a huge success. Kraft Bräu has passion for beer and an addiction to real craft brewing. About Wild Acre Brewing Co.: Wild Acre Brewing Co. opened its doors in June of 2016 to brew and sell the highest quality craft beers available throughout North Texas. Wild Acre has become known for a number of its beers including Billy Jenkins Bock, Texas Blonde and T-Hawk IPA. These beers, among other flavors, can be found in bars, restaurants and retail outlets throughout Dallas/Fort Worth, in addition to being served at their brewery/taproom and beer garden entertainment facility located in the former Ranch Style Beans building situated between East Lancaster and East Vickery on the southeast edge of Downtown Fort Worth. Beer lovers of Fort Worth have helped Wild Acre grow into one of the top 30 largest craft breweries in Texas after two short years in business. JOB SPECIFICATIONS: High school education or equivalent is required. Must have project management experience and possess the ability to meet deadlines. Must work well under pressure. Good organizational, interpersonal, and communication skills are required. Provides regular review of daily interactions with customers and maintains copies of communication with QLess for recordkeeping and recognizing opportunities for improvement. Manages customer expectations and interacts with customers. Be available to work November 16 & 17 and then Wednesday – Sunday from Thanksgiving to Christmas. If interested, send resume and cover letter to katie@fwsistercities.org. Imagine that you have a crucial building project that will vastly change things for the better and your boss has assigned a partner to assist you. This partner has strengths that will compliment your areas of expertise and vice versa, but there is a problem; you only understand how to create triangles and your partner only understands how to create circles. How would you proceed? How would you find a common language so that you could achieve your goal? As unlikely as this scenario might seem, it is not so different from attempting to conduct business with those in other countries. Often businesses, civic groups, religious institutions and even charities face challenges when working with people from different cultures. The most obvious barrier is language, but in many ways that barrier is the easiest to overcome. There are often more important nuances to consider, such as: how do they like to be greeted, what conversational topics are taboo, what is customary in terms of giving gifts, what are their dining preferences, what is their viewpoint on doing business with women, what are their religious customs, what are their expectations on attire, what are their business customs, do they shake hands, bow or kiss? Does conducting international business or traveling for leisure now seem more daunting when you are facing those questions? Technology has made it easier to conduct business worldwide. Companies sell to clients all over the world and dealing with different cultures can be tricky. But, it need not be. Protocol training provides tools to help navigate these waters by respectfully considering these cultural nuances and familiarizing others to work within them. Training is needed for companies, civic groups, churches, individuals, and non-profit organizations to make international business and leisure travel easier and more engaging and successful. 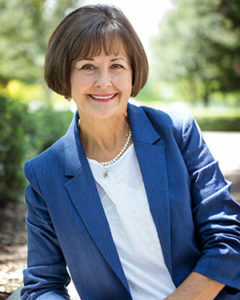 In order to host international visitors and provide the best possible experience for their guests, companies will focus on specific nuances of different cultures for their training such as proper pronunciations, conversational topics, dining etiquette, potential pitfalls, how to make introductions properly, how to greet properly, the importance of punctuality and receiving and reading business cards. As a certified protocol officer, I regularly consult with various groups to discover needs, goals and intent. Protocol trainings are customizable and tailored to the needs of any company, group, individual or organization all with a desired outcome of – mutual understanding and respect of other cultures and good international relations for all. In essence, the heart of protocol is caring enough to go the extra mile to ensure that you are presenting yourself, your company, your city or country respectfully, and it goes beyond that. It is caring enough to be open to receive the beauty that other cultures are waiting to share with you. When viewed through that lens, protocol becomes so much more than a set of rules or code of conduct. It truly is the Rosetta Stone that unlocks the power of international relations. This week, our staff learned that the City of Fort Worth’s annual budget has been presented to City Council. While budget changes are always a possibility, we are surprised and saddened to see that there has been no increase in budget to Fort Worth Sister Cities International (FWSCI) and our efforts. As they do each year, now that the budget has been presented, members of the City Council now have the opportunity to reallocate funds where they deem necessary and appropriate. In anticipation of annual budget discussions, FWSCI staff and leadership met with each council man and woman to plead our case for support, with good feedback. Without these funds, we are unable to continue the growth that we’ve had in the last several years. We will be forced to cut back on valuable programs that have made us the best program in the nation. In order to continue providing quality programs for youth and adults, continue strengthening international diplomacy and continue growing the current economic impact for Fort Worth, our leadership team has asked the Council to consider contributing $150,000 to FWSCI – a $100,000 increase to our budgeted contract. We believe that our track record proves that we are a worthwhile investment. We’ve been a key partner for the city, contributing an estimated annual economic impact of $14 million per year. Our team is counted on by the city and its citizens to promote citizen diplomacy and international exchange. We operate and manage the Sister Cities program for the city, including providing protocol and hospitality needs on behalf of the City of Fort Worth. More than 2,000 citizens of Fort Worth participate as volunteers in programs each year. Please call and email your city council representative and ask them to consider increasing FWSCI’s budget so we can continue providing life-changing experiences and enrichment programs to the community. Courtney Cannon is a recent graduate and Zeta Tau Alpha alumna of the University of North Texas (UNT). Receiving a Bachelor of Arts degree in international studies with a concentration in international development and humanitarian affairs, she is very interested in learning and immersing herself more in all cultures of the world. 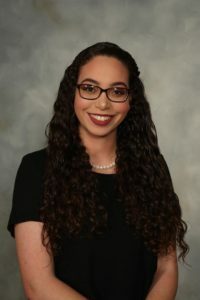 As the Leadership Academy Coordinator for Fort Worth Sister Cities International (FWSCI), she organized all aspects of both the Junior International Leadership Academy (JILA) and the International Leadership Academy (ILA) programs for this summer. Matthieu Ferrero was born in Takoma Park, Maryland, near Washington, DC. He moved to France when he was 2, after his brother was born. He lived in France for about 12 years, then went to live in Vietnam for four years, attending a French high school in Ho Chi Minh City. After passing his final exams and before studying at university, he enrolled in a business school in Nîmes, France, to earn a Bachelor of Business Administration. As it is his second year in the program (out of three), he is doing his international internship at FWSCI. 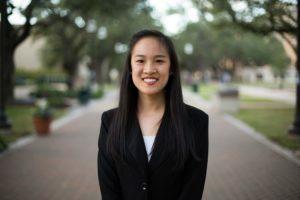 Grace Lu is an international studies major at Texas A&M University (gig ’em!) with a concentration in environmental studies and minors in bioinformatics and Chinese. She is a program coordinator intern for youth outbound exchanges at FWSCI, working primarily with the Harashin Scholar Program. In her free time, Grace enjoys swimming and reading. 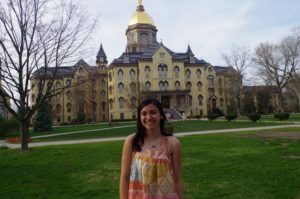 Megan Metersky will be entering her sophomore year at the University of Notre Dame. She is currently studying international economics and applied computational mathematics and statistics. She has been involved with FWSCI for many years, participating in student exchanges and ILA. This summer, she is coordinated the Dual Language Immersion Camp and will be a facilitator at ILA. 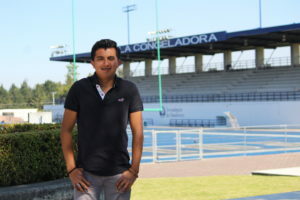 Mau is a student of the Instituto Tecnológico y de Estudios Superiores de Monterrey, Campus Toluca where he is studying mechatronics engineering. He is a creative person and he is not afraid to express new and innovative ideas. He has experience in several areas, the strongest being design and teamwork. He also has a lot of experience speaking in public and attracting people through technology. 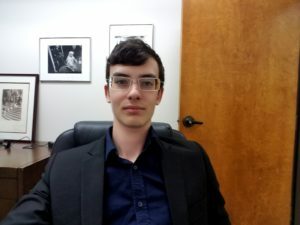 In addition, he has had international experiences in robotics competitions in Chandler, Arizona; St. Louis, Missouri; and leadership experience in Fort Worth, Texas. This summer, he worked as an international intern in the FWSCI office working on ILA and JILA where he also served as a facilitator. Amber Parsley is 22 years-old and from Arlington, Texas. She recently graduated from UNT with a degree in public relations. This summer, she assisted Katie Wharry as a Marketing and Community Engagement Intern. Alexis Runyons was a Program Coordinator Intern at FWSCI. Her main tasks were finding host families and managing logistics for ILA. During the month of July, she worked as a facilitator at ILA, as well. 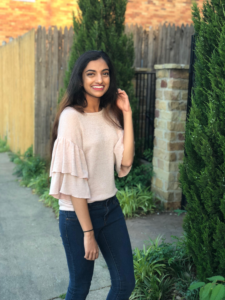 Currently, she is a student at UNT, and is majoring in communication studies, double minoring in marketing and Chinese, and pursuing a certificate in digital media studies. 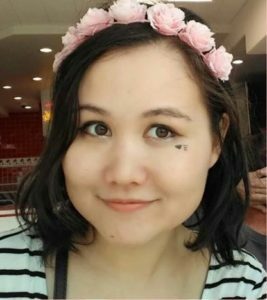 She is a half Taiwanese, half American individual that hopes to return to Taiwan after graduation and pursue a career in social media management. Avalon Wolfe is a rising sophomore at Stanford University, where she intends to major in political science and minor in computer science. She is involved with the Forum for American/Chinese Exchange at Stanford, Stanford in Government, and Night Outreach. 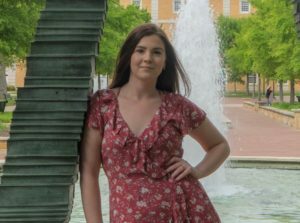 After graduation, she seeks to work with international policy and intergovernmental organizations, with the hopes of eventually running for public office. Aside from serving as a Program Coordinator Intern at FWSCI this summer, she is volunteering at Prevent Blindness Texas and self-studying the C programming language. Muna Yowell is a senior at UNT majoring in international studies with a minor in Arabic. 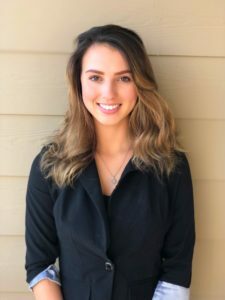 She worked as an intern at FWSCI as the Tricolore Games Coordinator, responsible for the logistics of an international youth sports games in Fort Worth’s sister city Reggio Emilia, Italy. In the fall, she will be interning at the International Rescue Committee in Washington, DC and will be graduating in December 2018. Ameera Zaman was born and raised in Fort Worth, Texas, but her parents are from Bangladesh. She is currently a junior at UNT where she is majoring in communication studies and minoring in biology, Arabic, and social sciences. This last year, she joined a collegiate Bollywood fusion dance team called Chingaarii. 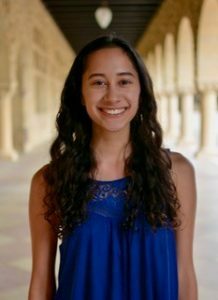 She has been involved with FWSCI since her sophomore year of high school, traveling to Reggio Emilia, Italy and Nagaoka, Japan as a Youth Ambassador. She has also been an Associate Delegation Leader (ADL) for an exchange to Japan, and currently she is a Program Coordinator Intern. She primarily worked on anything involving the facilitators for JILA and ILA, but she also helped with the rest of the program. She also serve as a facilitator for ILA this summer. She looks forward her future endeavors with the program.